Snrky: Call me a cynic, but I'm going with the latter. Call me a cynic, but I'm going with the latter. We generally avoid politics on this site...well not all the time. It is an election year after all so if you're not familiar with the origins of the term 'series of tubes' it's worth a read to internalize the funny-but-not aspect of it. Title: Call me a cynic, but I'm going with the latter. 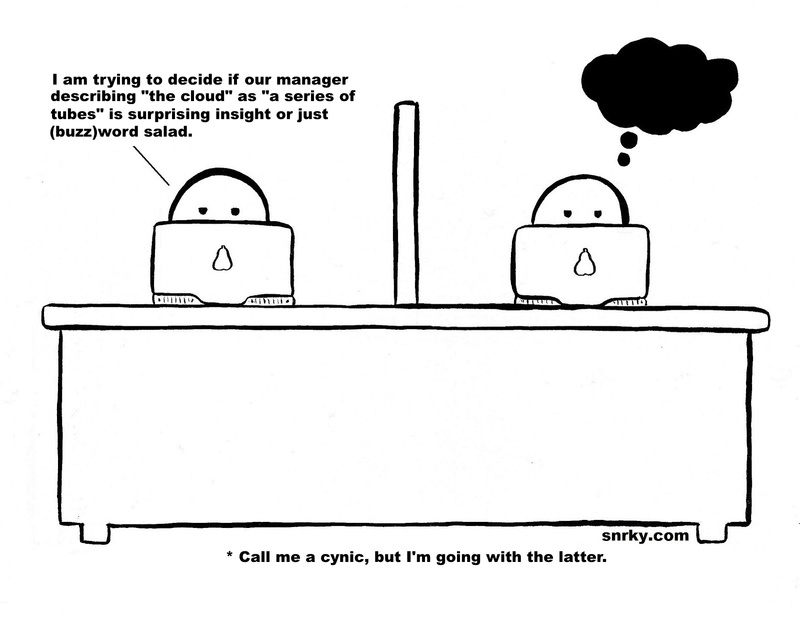 Snarky: I am trying to decide if our manager describing "the cloud" as "a series of tubes" is surprising insight or (buzz)word salad.